Today we are talking all about guitar effects! Now, I’ve been an advocate for using stomp boxes for many years, I’ve certainly had a lot of experience with guitar pedals and they are predominately what I’ve been using in my own playing. 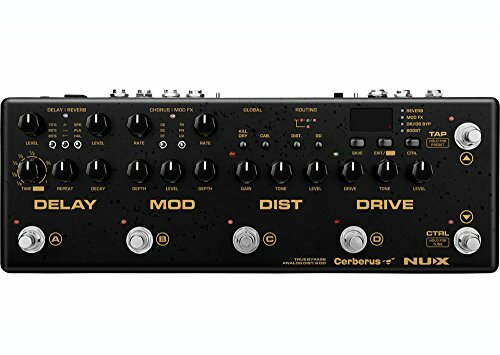 Having said that, I came across this unit by TC Electronics, called the Nova System, and was keen to get one of these in the studio to have a play around with I was really interested that this claims to be a bit of a hybrid unit, combining digital effects with analog drive and distortion. 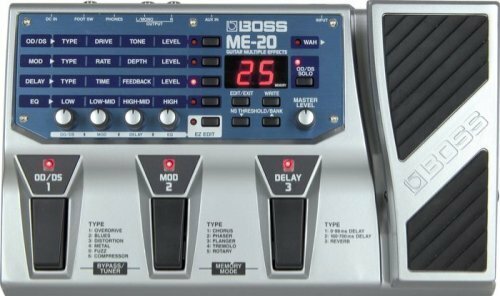 All of this kind of got me thinking about the topic of individual guitar pedals vs multi-FX units like this. Is one better than the other? What are the Pro’s and Con’s? And where should you be spending your money?! For me there are 3 main topics that come into the discussion on Stomp Boxes vs Multi-Effects and they are price, versatility and tone. Firstly, price is a really big factor for a lot of people. 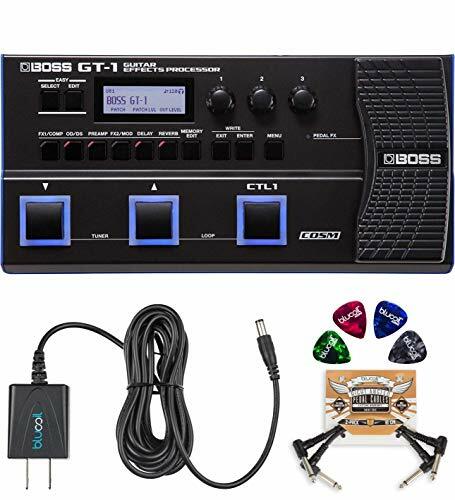 Obviously, this will vary greatly depending on the particular pieces of gear your interested in but generally if you compare what you are getting in a multi-effects unit with how much it would cost to buy all of those effects separately, stomp boxes will usually represent a much more significant investment. This is especially true when you take into account the cost of quality patch cables, making sure everything is powered correctly and having some kind of pedalboard to actually house everything. Secondly, we need to think about versatility. Both options are actually quite versatile but in very different ways. With individual pedals you are basically starting with a blank slate in terms of designing your pedalboard. You’re not limited to a particular type of sound or brand and there are a huge amount of options out there for you to choose from. On the other hand with multi-effects units as I’ve have already mentioned you would usually expect to have a lot more effects to work with for the price, and you’ll also have the huge bonus of being able to save different presets to use with different songs. The other thing to consider when talking about versatility, is of course the actual size and weight of the units in question. Pedalboards can get big and heavy and take up a lot of room, this is usually not quite such an issue with compact multi-effects units. Lastly, and most importantly we come to tone. Again it all completely depends what pieces of gear you are looking at but at least in theory individual pedals are generally designed to do just one main thing and so hopefully they do that one thing well. Once you find a pedal you like they often make it reasonably straight forward to dial in a tone, you can specifically put together the exact effects you’re actually wanting and you have complete control over the order of your effects chain. Digital effects units can also sound more processed and less ‘organic’ than analogue effects (this is especially true with overdrives and distortions), they can also involve a greater learning curve to operate and tweak guitar tones. The benefit here though is that they often give you more control over the parameters you’re tweaking and can make it easier to set up more elaborate and interesting effect combinations. So what’s the verdict? Well, I’m not really trying to push one over another I definitely think there is room for both but the usage really determines which will be more beneficial for you. If in all honestly you’re only really looking for a few key elements in your signal path, then stomp boxes will give you huge amount of options to choose from in terms of tone and there’s no real point spending money on features you won’t use. On the other hand if you’re needing to access a wide rage of tones quickly and easily and don’t mind searching through menus and tweaking presets to get the tone you’re looking for then a good quality multi-effects unit will give you a lot more options to work with. We could certainly go into more detail but there are some of the key elements to think about. Remember, tone: What are the sounds you’re looking for? Versatility: How are you going to use them in your playing? And price: Realistically what is your budget?